'Girls' stars Dunham and Kirke appeared in a new body-positive campaign for New Zealand brand Lonely. ‘Girls’ stars Lena Dunham and Jemima Kirke have been unveiled as the stars of a new body-positive lingerie advertising campaign, appearing in an un-Photoshopped series of pictures for the brand Lonely. In the photos, 30 year old Dunham and 31 year old Kirke, both prominent stars of the HBO comedy-drama favourite ‘Girls’, pose in a New York apartment in photos left deliberately unaltered in order to project a message of body confidence – which is in line with Lonely’s objectives. 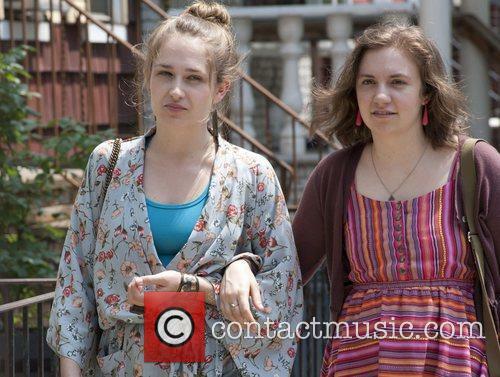 Lena Dunham Floats Possibility Of A 'Girls' Movie - But Not For A While Yet! The 'Girls' writer and star was speaking to Variety about the hit series' future. 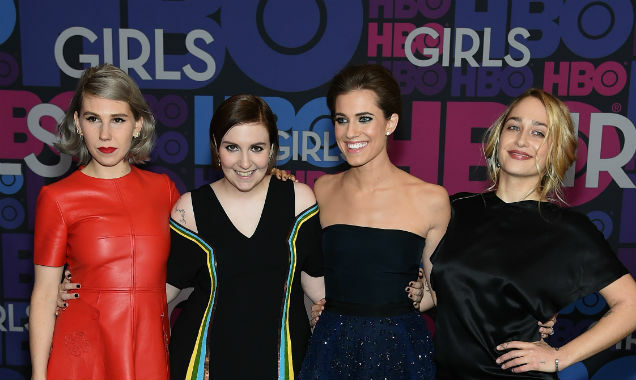 Lena Dunham has spoken of her desire to make a movie adaptation of ‘Girls’ – eventually. The comedic mastermind revealed that she has harboured the ambition for a while, but wouldn’t consider putting it into action for at least ten years after the series concludes. Continue reading: Lena Dunham Floats Possibility Of A 'Girls' Movie - But Not For A While Yet! Jemima Kirke reveals details of her abortion in 2007 to raise awareness for pro-choice charity. Jemima Kirke has opened up about having an abortion in a video for the Centre for Reproductive Rights' pro-choice campaign, Draw the Line. The 29-year-old actor, best known for her role as Jessa in HBO's Girls, explained how she terminated a pregnancy in 2007. Jemima Kirke is best known for her role on Girls. Read More: Lena Dunham Praises Taylor Swift In Interview. The cast of 'Girls' led by Lena Dunham posed alongside each other on the proverbial red carpet at the show's fourth season premiere held at the American Museum of Natural History in New York. Among the stars were Allison Williams, Zosia Mamet and Jemima Kirke.